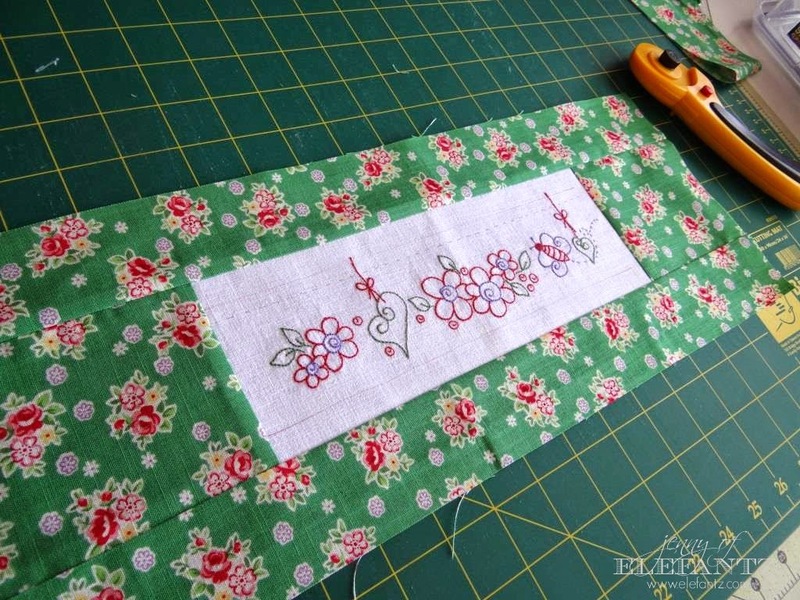 I've chosen the "Rosedaisy Border" as the block from THIS pattern set to use in our monthly tutorial and project! If you were a guest visiting a friend's home wouldn't you love to have this waiting on the bed for you to use? I'd feel very special indeed! 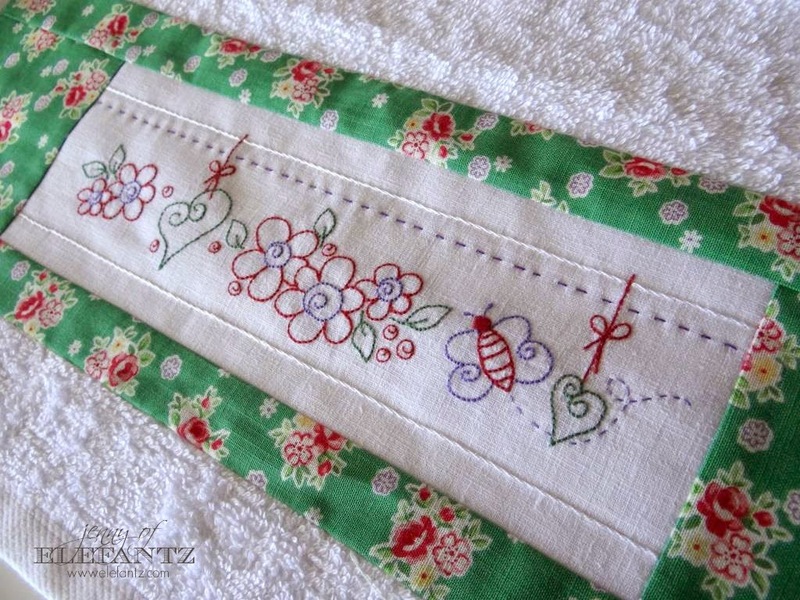 It would also be a lovely 'take home' present for a guest, or maybe you'll make it as a Christmas or swap gift? 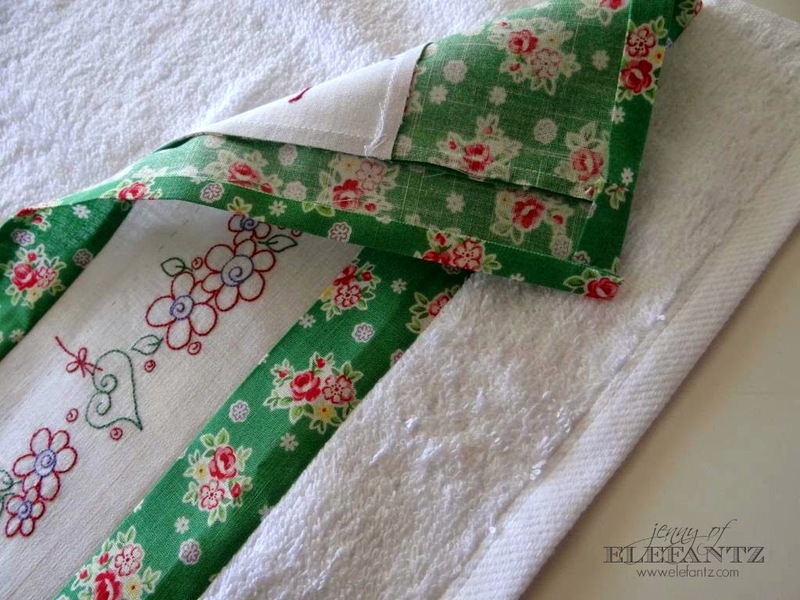 However you decide to use this lovely hand towel once you've completed it, you will probably want to make a few more because it's a very easy project! 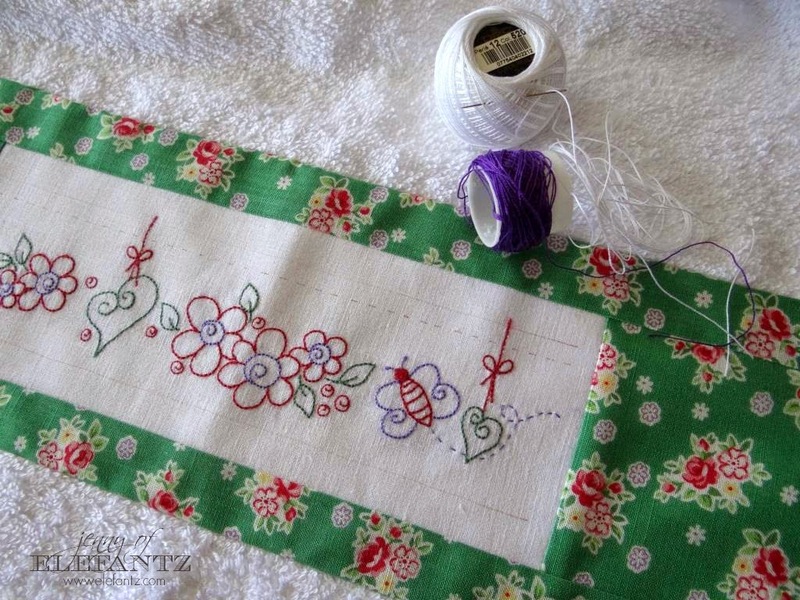 First you will need the "Rosedaisy Border" block (the embroidery instructions and thread colours are listed inside the pattern), a fat quarter of floral fabric, a new (washed) hand towel, and you may like to add some buttons, lace or other embellishment. 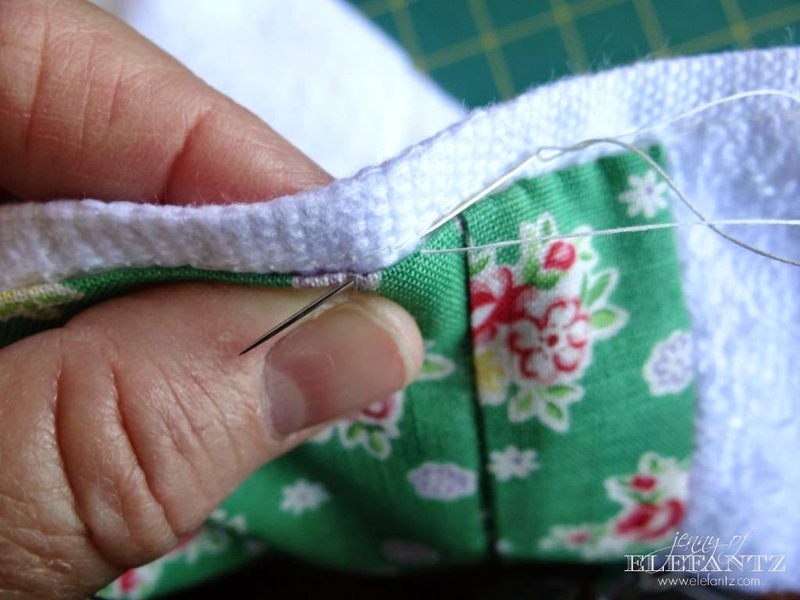 If your towel measures 17" add an extra 1/2" (w) to the two small pieces of fabric and an extra 1" to the long pieces. 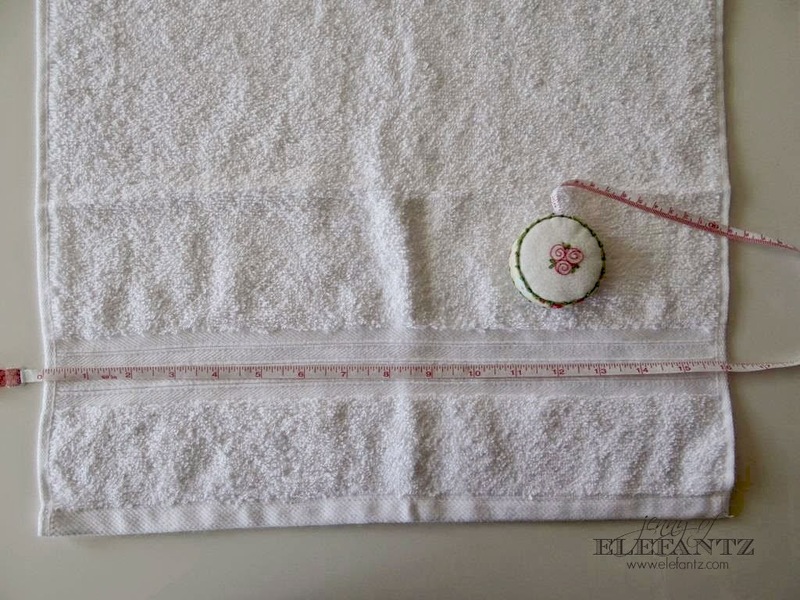 Just make sure your total width will be 1" wider than your towel is, ok? 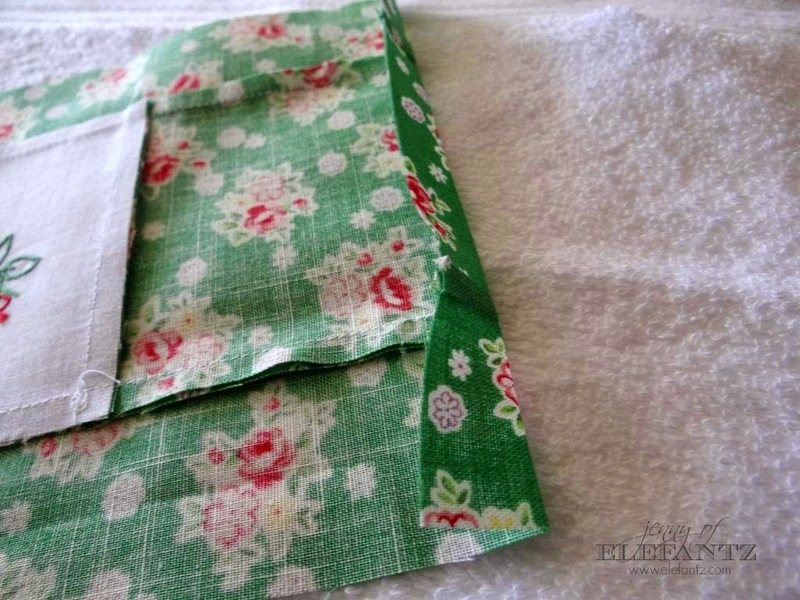 Turn the block over so that the top of the block is facing away from the hand towel. 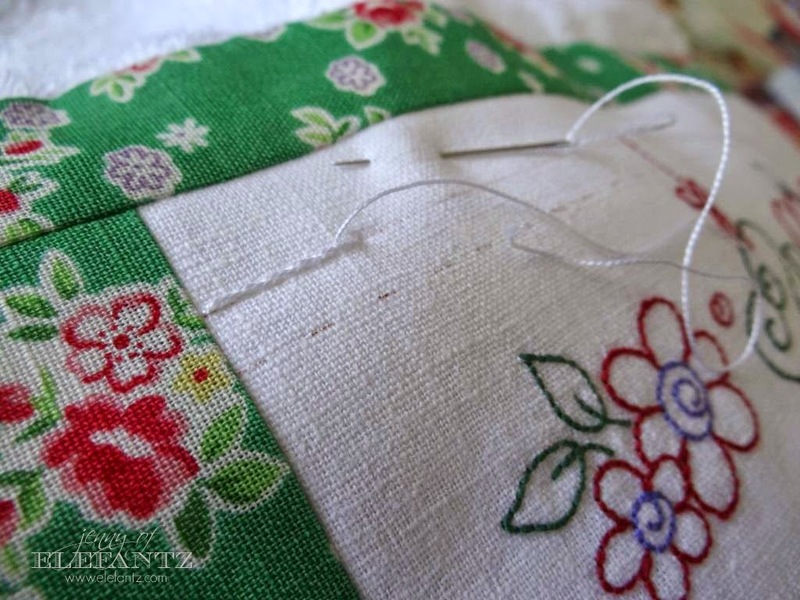 Very carefully slip stitch the edges of the block to the towel. Gather some Perle #12 threads. 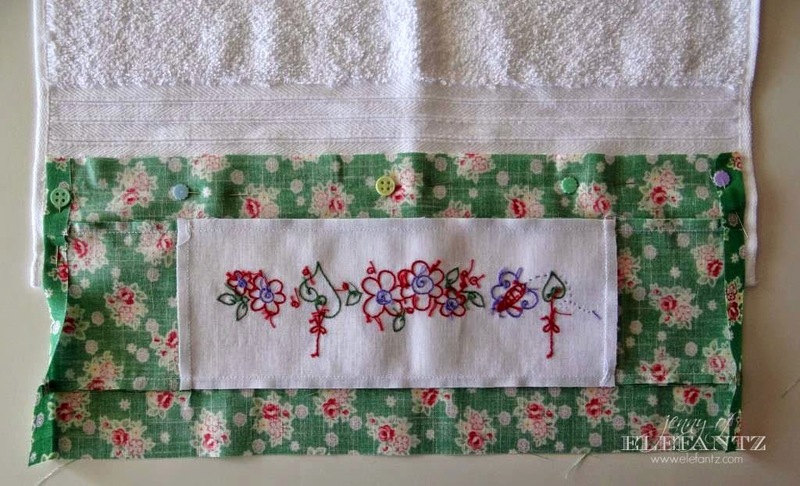 You might consider using the Rosedaisy Border down the edge of a pillowcase, as a feature across a cushion or bag, or what about the trim of an apron? If you have another idea for this design leave it in the comments below, would you please? I'm sure we'd all love to hear it! 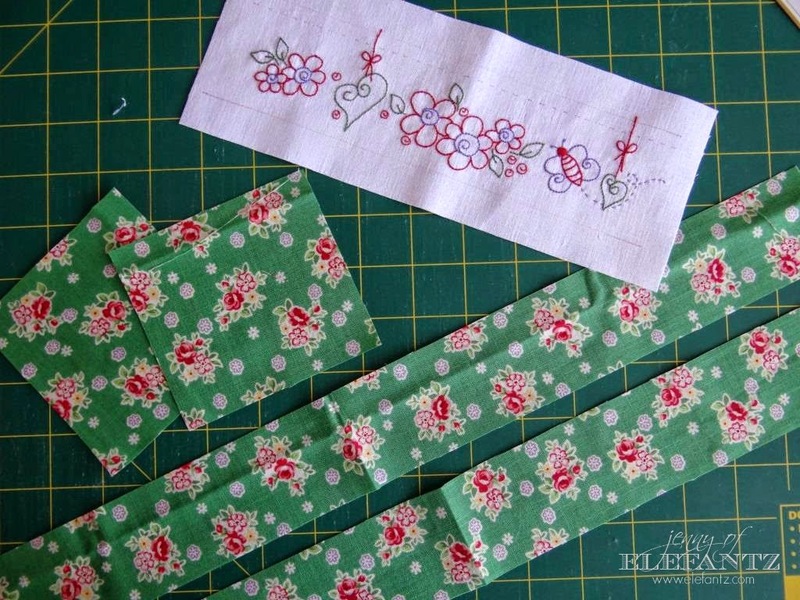 or HERE as a single pattern purchase. 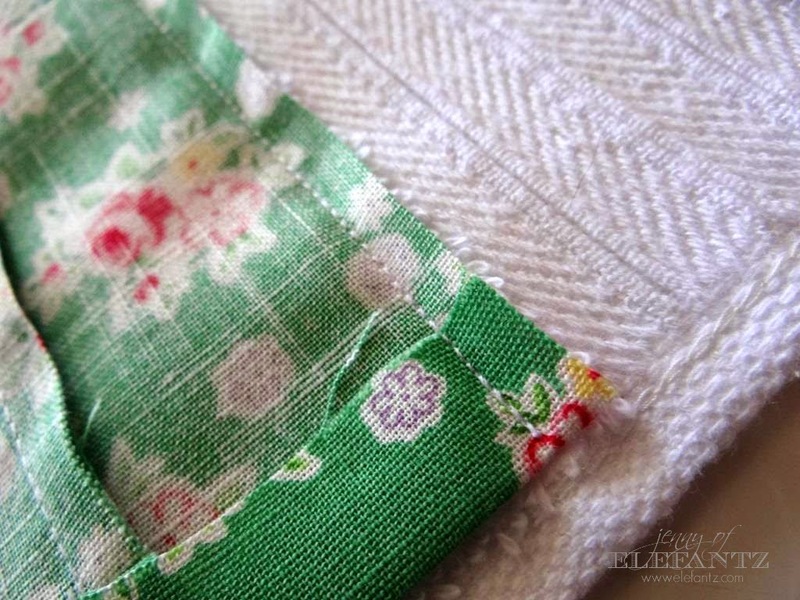 the hem of a skirt or blouse. That is beautiful, darling girl, thank you!! What a great idea. Thank you for the tutorial. 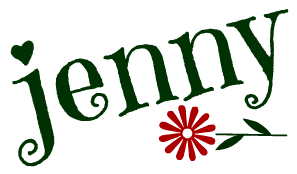 Jenny, Thank you for the tutorial. I have been gone and just today saw a week of your post! 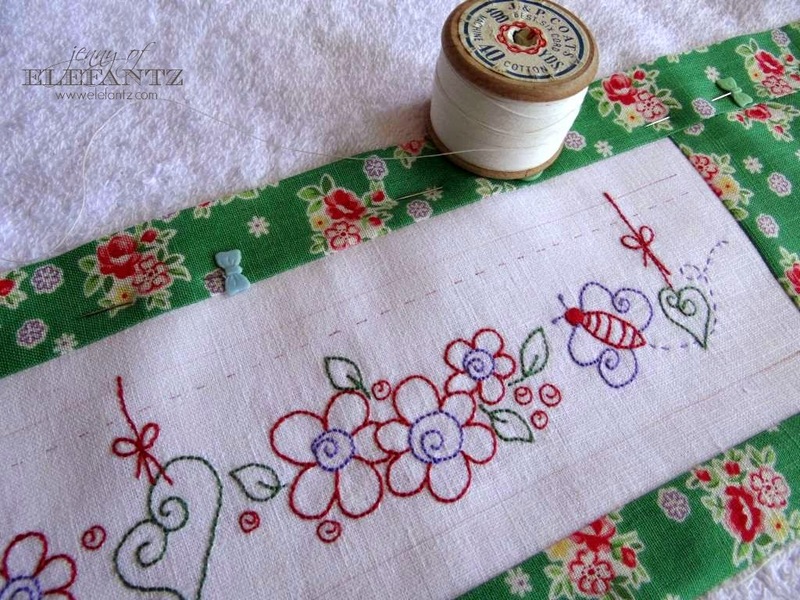 Love the picture especially the old ways, made me remember my childhood at my Grandparents! This is so sweet!! Thank you for posting the tutorial. They are always easy to follow. It is adorable. 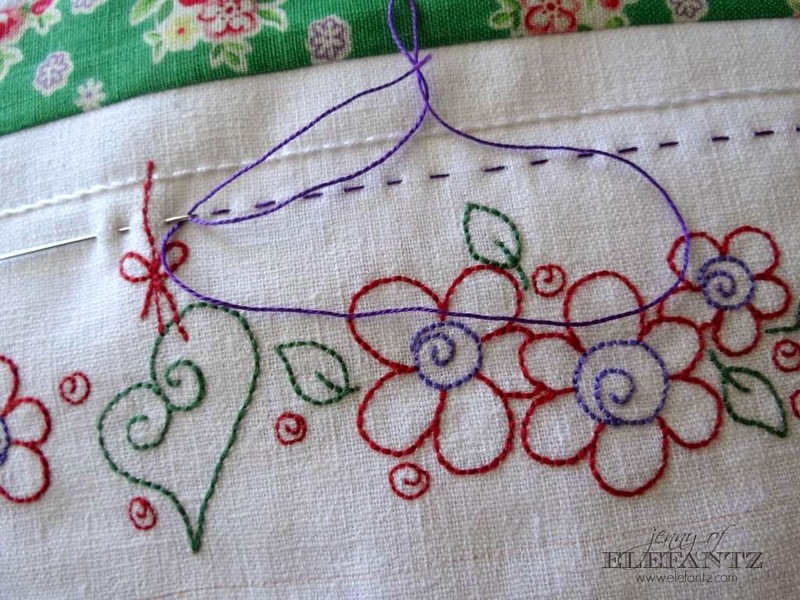 I rarely do embroidery, but I love your web site! 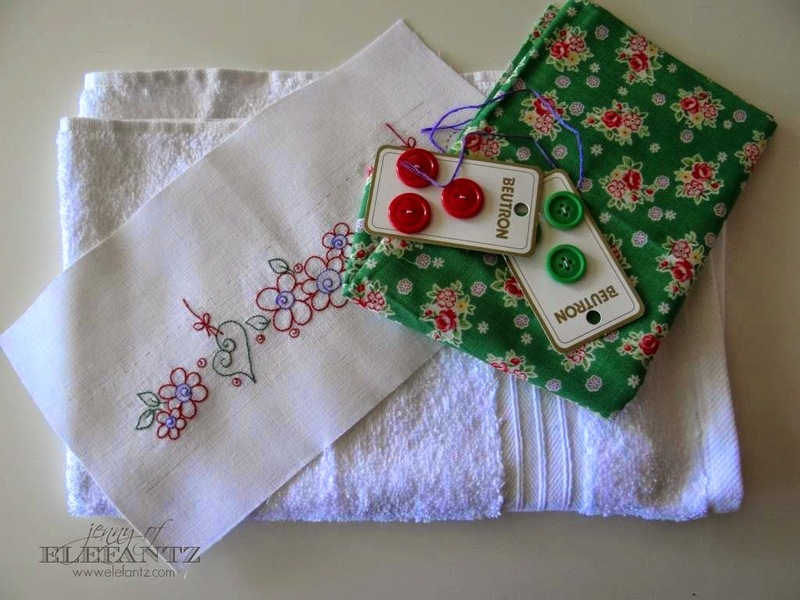 Another great project, Jen. I love the colors you used. 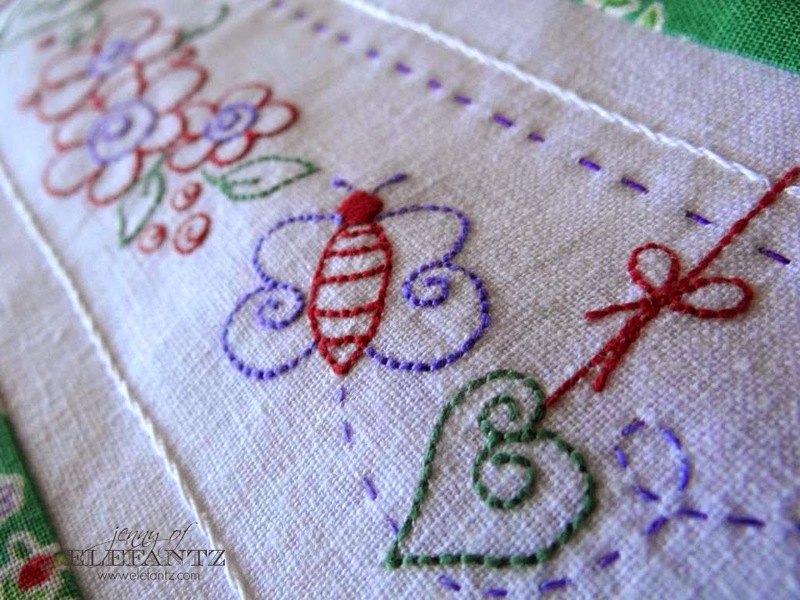 I need to divest my life of other responsibilities and just embroider for a few months! 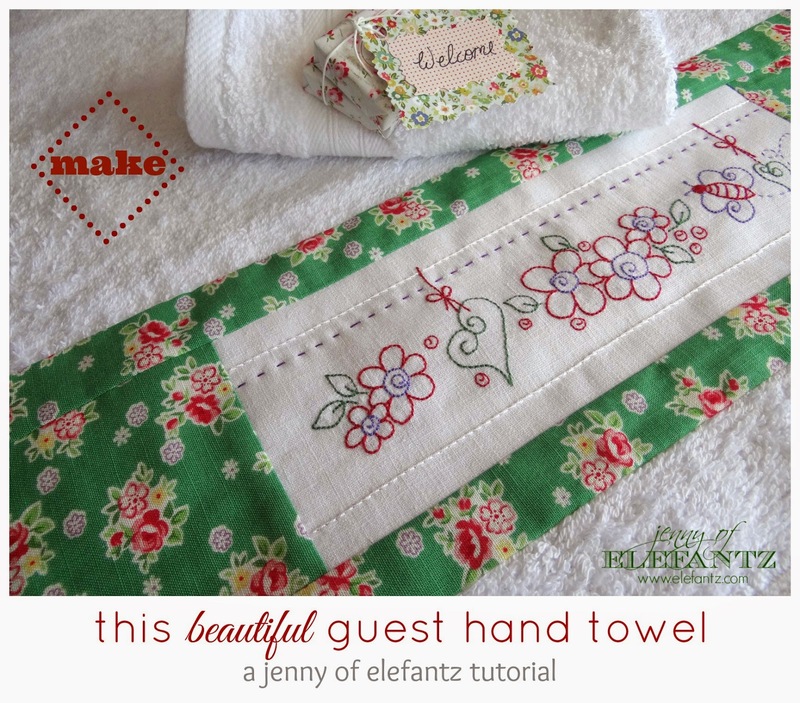 love your newly decorated towel.